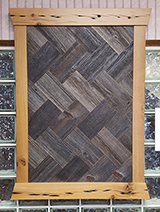 Reclaimed lumber is stronger than traditional hardwood and is often a unique, stunning look for use in home construction. Used as beams throughout the home, reclaimed wood makes a gorgeous statement. L & L Reclaimed Wood uses specialized milling machinery to create custom reclaimed lumber designs for your home. We can create cabinetry, flooring, stairs and furniture in any design and size you may want. Additionally, all reclaimed lumber can be stained and sealed to better complement your current decor. Contact us for details or with any questions you might have. 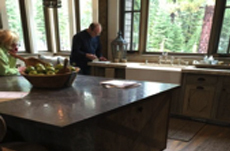 Our partner company, J & S Custom Homes in Truckee, California, specializes in reclaimed lumber projects. For more information, call J & S Custom Homes at (530) 587-0230. If you are building a new home or renovating an existing home and are drawn to the charm and history of reclaimed wood, know that we have a team of experienced professionals that will assist you with the project to best incorporate and showcase your reclaimed wood. 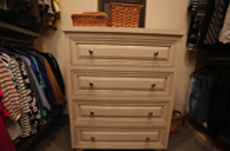 We specialize in the cosmetic design of custom furniture and cabinets. Consideration should include surrounding paint color, lighting and other building materials. Our talented team is well versed in bringing customer concepts to life. Working with our team allows customers to propose their custom furniture ideas and collaborate with the designers to fine tune those plans to the final concept. All custom furniture is built and assembled onsite at L & L. We follow the same principals in the design and manufacturing of any custom cabinetry. One of our more unique services allows each and every client the ability to hand select the materials used in the creation of their custom piece. See some of our past customer designs. Our team will arrange third party delivery for you if needed. Please contact us if you are interested in arranging delivery to your home. Choosing L & L Reclaimed Wood means your reclaimed lumber will be installed by the best in the business. 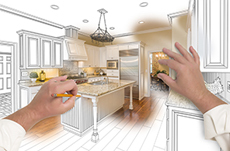 With decades of experience in home construction, our installers will make sure your project is completed with expertise.